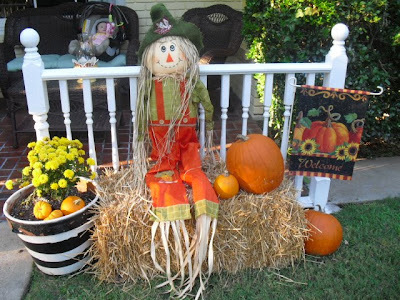 Kelly's Korner is hosting "Show Us Your Front Porches"! Currently my front porch is the host of some toasty, crispy flowers due to the hot Texas summer! So I am going to share some pictures from the past. I love my front porch and we sit on it a lot when the weather is nice. 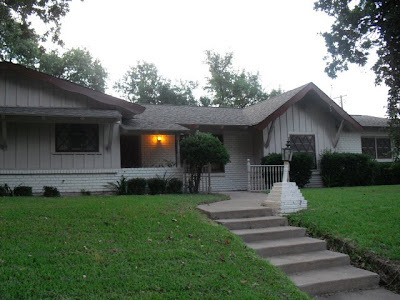 This is what the house looked like when we bought it. We knew it had potential under that brown and tan paint. 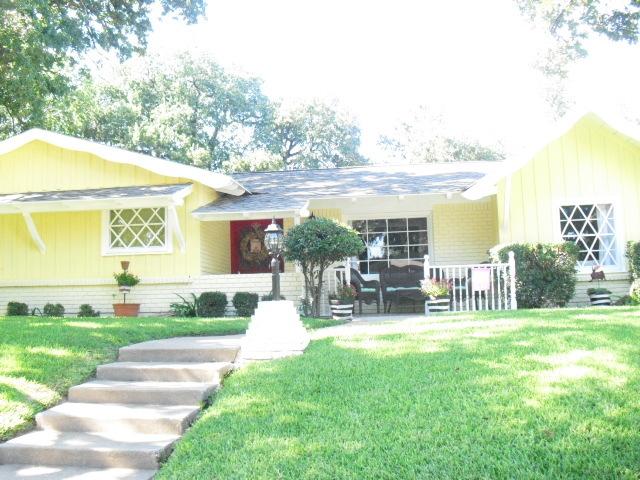 Painting it yellow, was one of our first projects. Now it looks like a Happy House instead of a sad depressed house. It's fun to sit out there and wait for trick or treaters too! And to take pictures with your little 50's girl! The floor is just stamped concrete made to look like brick. We are so happy with how it turned out. And it was WAY easier than bricking it. It's fun to change out the flowers for the seasons. It's especially nice when I remember to water them! I am ready for some front porch weather! 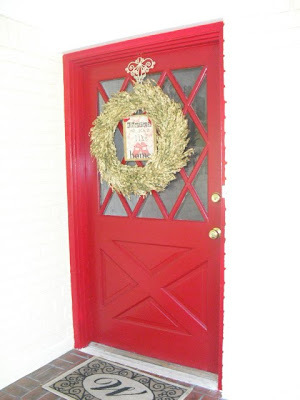 I love all of your redecorating projects! 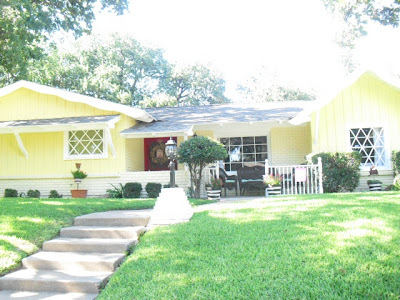 Your home is so cute and cozy - thanks for sharing! Feel free to return the visit - I linked up, too! 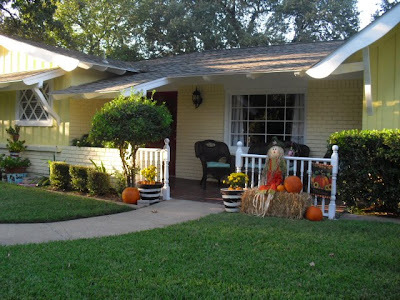 I just love reading your blog because your house is so cute and cheerful. I love how you decorate! Your house is absolutely adorable! I LOVE the color! Everything about your house is so cozy and inviting. I just love it!! I would love to know more about your brick stamped porch :) Is there some sort of kit to buy to DIY or did you just come up with it.